A native of Kobe, Japan, Makoto Iwamatsu was born in 1933; his parents left him when he was a small child and came to the United States. Mako (as he was called professionally) would not be reunited with them again until 1949, when he was able to travel to America. 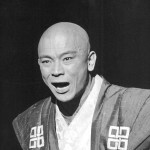 Primarily known for his work on television and in film, Mako made two appearances on Broadway – once in a 1992 stage play, Shimada, which ran for only four performances; and again in the original Broadway production of Stephen Sondheim’s 1976 musical, Pacific Overtures. 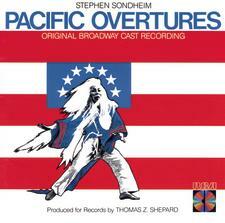 In that production, Mako played three roles: the Reciter, Jonathan Goble, and the Shogun. Mako was nominated for a Tony® for Best Actor in a Musical that year. Mako is the only Japanese-American actor to be nominated for a Best Supporting Actor Oscar® for his role in the 1966 film, The Sand Pebbles.